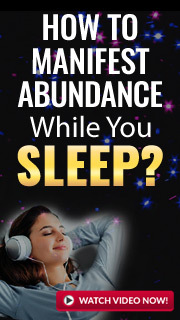 Are you about sick and tired of hearing about the Law of Attraction because it just didn’t work for you? Everything any book or guru said, you tried and it was malarkey. So many rules, so many different ways. What’s the problem? Or maybe it’s sort of working for you but there are a few hiccups along the way. The LoA brought you the car you desired but it was a mini hot wheels you found on the sidewalk. There definitely are a few tips and tricks that cannot be overlooked when working wit h this Law. The following steps will help to increase the power of the LoA if you follow them properly. No limits. We think about something but we put a limit on it. Yes, I want a car but maybe not a new one, a used one is ok and it doesn’t matter what color or shape it’s in. I really just want a car. Why all the limitations? You want a car. You want a smokin’ hot brand new car maybe. Be clear. Don’t be shy in asking what you really truly want. Put it out there and don’t feel like you deserve something less or that you are asking for too much. You aren’t. you are deserving of a brand new car if that’s what you want. No limits. 2. No room for negative talk. Ever. All negative talk must be removed from your vocabulary immediately. This will be hard if you’re not used to this new way of communicating, but it’s necessary, mandatory. You must only speak positive, happy, abundant and loving words. All the time. Yes, some people actually can do this and so can you. Remove words and phrases like I can’t or it’s not for me or that’s too expensive or I’ll never be able to afford that. Abundance and prosperity is your birthright. Don’t forget that. Be mindful and present. Try to see every situation in a positive light. If you walk past a store that sells something you want or love, talk about it like you already own something just like that. Show tremendous appreciation for everything you have in your life and really be aware of its value and its presence in your life. Everything. Be connected with the energy of love and gratitude to all that you have in your life, and even life. Sounds almost impossible but really it’s not. If you are thinking and talking positive all the time and you are in a constant state of gratitude for your life and all that is in it, then feeling good should come naturally, right? If it doesn’t, then something is off. Check to make sure you are in a good vibration with the Universe and love. What are you doing, where are you, who are you with? Take note of all these things when your emotions start taking a nose dive and then adjust accordingly. 5. Share it with others. Spread the word. Talk about the Law of Attraction to others. Your family, friends, coworkers, neighbours, everybody. The more you share it and talk to others about it, the more you stay in the vibration and the more powerful that energy will be. You are not only attracting more of the good stuff to you but you are sharing which is a powerful LoA tool. Keep talking about it. The more you talk about it and feel it, the mo re you believe it and the faster all the things you want will manifest. Yes, it’s about feeling it and believing it but not just when you’re in the mood or you need to attract something. You should stay in that vibration all the time. Live it daily.